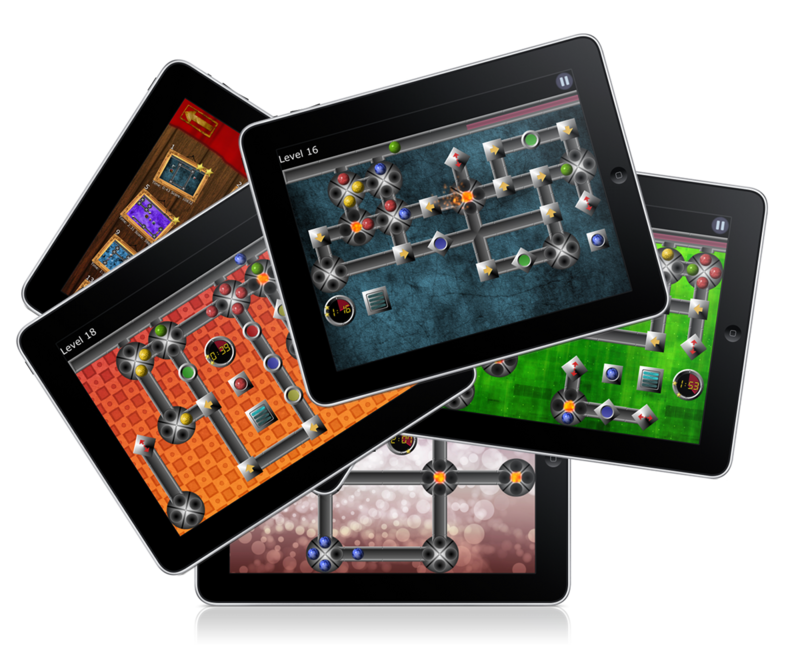 Great applications and games for iPhone/iPod touch and iPad. Rotate wheels and guide your marbles in this fast paced game. Fill the wheels with marbles of the same color to make them explode. Once each wheel has exploded at least once, the level is completed. Simple rules, but beware, its getting trickier! Intuitive controls lets you rotate the wheels by flicking them with your finger and by tapping a ball it will be released from the wheel. 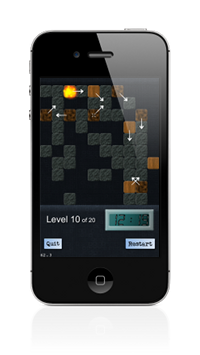 As you progress into the game you will encounter many innovative obstacles that will keep you busy for hours! 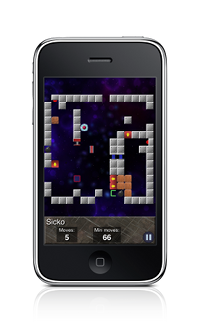 Do you have the split vision and the focus needed to complete all the levels? Try to beat your own score and compare it with your friends on Game Center! How do you rank in the world? 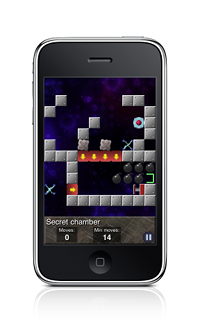 Challenge yourself in this simple but smart little puzzle game. 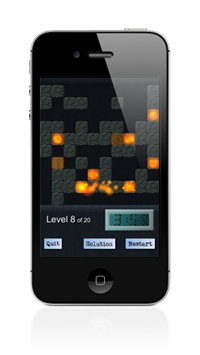 Set fire to all of the wooden blocks and finish 20 increasingly difficult levels in the shortest amount of time. You start a level by setting fire to any one of the wooden blocks. From there the fire can only move either horizontally, vertically or diagonally, and can not move over an empty space. Simple rules, and easy to begin with but at the later levels it REALLY is a challenge. Do you have what it takes? Each time you play the game new levels are generated, producing a unique game experience every time. There are literally millions of different levels to be played! Original concept by Jérôme Lulling. 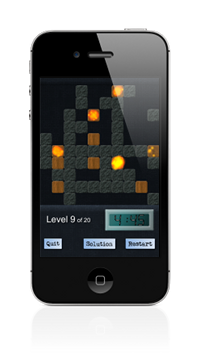 In this great puzzle game you'll play 80 ingeniously crafted levels that puts your puzzle solving skills to the test. You are in control of a space vehicle and it is your task to take it to the goal. Why is not important, just get to the goal so that you can play the next level. Great mix of levels for everyone. From the casual relaxing game to the head scratching exercise. Some levels you'll complete at first attempt and others will make you sleepless. This application can help you with your swedish crosswords. The application contains a list of almost 400 000 SWEDISH words! To search for a word, fill in the letters you know and replace the unknown letters with an asterisk. 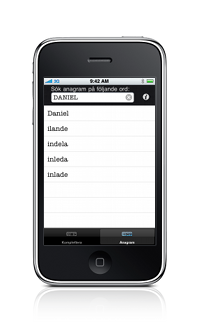 You can also search for anagrams! I.e. words that can be created by rearranging all letters in a word. 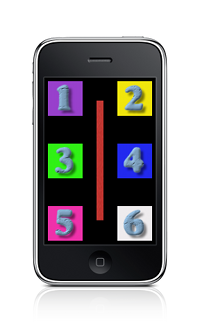 Fast paced game that tests your reaction as well as your concentration. A voice (my voice) will tell you what button to touch and you have to touch the correct button before the time runs out. Try to stay in the game as long as possible for the best score. It'a not as easy as it sounds! Three difficulty levels are provided. 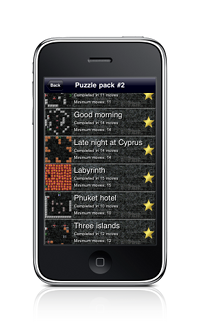 In the medium and hard level, colors are added to get your mind working even more. Rost solutions currently consists of one person. The name of that person is Daniel Rost.